If you’re an AUM user, you may have also noticed that when you load an app in the instrument slot at the top of the channel strip that each app is either labelled as an ‘Instrument’ or a ‘Generator’, but what’s the difference between the two? Effect and Music Effect apps are for the purpose of processing audio and these are the apps that you load into the effect slot on the channel strip. The Instrument and Generator apps, on the other hand, are both apps that generate sound themselves and include synths and drum machines. The only difference between the two types of apps is that Instrument apps can accept MIDI information via Inter-App audio while Generator apps are only able to accept MIDI information via CoreMIDI. This basically means that Instrument Apps can accept MIDI information directly from the host app (AUM, Cubasis, Auria Pro etc.) while Generator apps can’t. This is also the same difference between the Effect and Music Effect apps, with the former being able to accept MIDI from the host while the latter is unable. 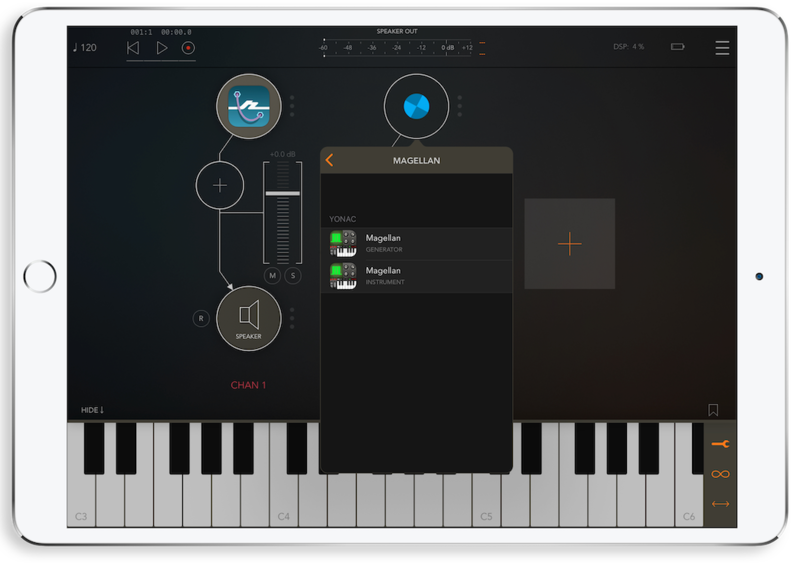 Some apps, for example Moog Model 15 and Yonac’s Magellan, are multiple port apps, meaning that they can be used as either a Generator or an Instrument app. If you’re wanting to learn more about using AUM then sign up to our free AUM masterclass series.